The public is finally getting a good look at the budget of California’s $6 billion stem cell agency, about nine months after it began work. The information, however, was posted online only a few days ago for a CIRM meeting that begins at 3 p.m. today in downtown Los Angeles. That makes it virtually impossible for the thousands of patient advocates, scientists, legislators, biotech firms, research organizations and other interested parties to make an informed comment on the agency’s spending plans for today’s hearing. We assume that is not the intent of the agency. Its chairman, Robert Klein, has repeatedly promised the highest standards of openness and transparency, even touting them as recently as last week in The Sacramento Bee. What the agency has actually done is far different, which creates concerns about reality gaps in the agency’s other affairs. But to the matter at hand – the budget of the California Institute for Regenerative Medicine, which is scheduled to hand out $3 billion in stem cell research grants (financed by another $3 billion in interest on state bonds) over the next 10 years. CIRM is in a bit of a pickle because lawsuits have effectively blocked the issuance of its bonds, meaning it has no major source of revenue to pay its 17 employees or to pay for its Internet access, among other things. Instead the California state agency is relying largely on a $5 million grant from the Dolby Foundation and a $3 million loan from the state. In other words, CIRM may be the first California governmental agency on the dole. The agency’s spending plan for the fiscal year that began July 1 has three scenarios. The budget totals range from about $6 million to about $8 million. CIRM reported it spent $2.6 million during 2004-2005, although it did not effectively begin operations until about January. The staff report on the budget recommended that CIRM directors approve the most conservative scenario, which assumes no issuance of bonds and no additional funds beyond the state loan and the Dolby money. Under that plan, no stem cell grants would be made during 2005-2006. If no additional money becomes available, the staff report said “CIRM will take action” to continue operations. No explanation was given for what that means. The second budget alternative assumes sale of nearly $22 million in bond anticipation notes and would provide for $15.6 million in training grants. The third alternative assumes $100 million in bond proceeds and major grant dispersal. The barebones budget projects 20 employees by Oct. 1 but no more. It provides $215,000 for CIRM’s two-day international stem cell conference in San Francisco. Working groups would be funded with $331,000. The biggest single contract -- $480,000 -- is for legal advice from the Remcho, Johansen & Purcell law firm of San Leandro, Ca. It is followed by the Edelman PR firm’s $283,000. The amounts are for the current fiscal year. Their total contracts are for $520,000 and $378,000 respectively, which includes both the past and current fiscal years. The other two budget scenarios assume as many as 35 employees as well as $250,000 for a contract to acquire services to help CIRM develop a “strategic plan.” No details were provided on the nature of those services. Under its most generous scenario, CIRM also would stage another scientific conference at a cost of $125,000. California lawmakers should step in to assure that taxpayers reap the benefits of the $3 billion in stem cell research they are financing, The Sacramento Bee said Monday. And state Treasurer Phil Angelides, a candidate for governor, should cough up documents that he has relating to the issue, according to The Bee’s editorial, which recommended that legislators press him to do so. The Bee was reacting to the report by the California Council on Science and Technology last week that said the state should not expect a bonanza from CIRM, at least not any time in the next 10 years. “Prop. 71 supporters are doing a flip-flop. Biotech firms and university officials are saying that royalties and discounted care would discourage ‘innovation’ and diminish the potential for medical breakthroughs. To drive home this point, they are now throwing cold water on the idea that stem cell research will be very profitable,” The Bee editorialized. The Bee also pointed to a little-noticed letter earlier this year to Angelides from the state’s “bond counsel (that) warned that patents and royalties resulting from state grants might be construed as taxable ‘assets,’ making them ineligible for financing by tax-exempt bonds. California stem cell chairman Robert Klein has fired back rather mildly at The Sacramento Bee, one of his stronger critics, declaring that its most recent editorial was inconsistent with its previous positions. The comment was published in The Bee in response to an Aug. 13 editorial that said the agency was in a state of denial. slowly: " He cited a May 22 piece. Klein also took issue with The Bee's position that CIRM should not seek funding from non-profit organizations. He pointed to two state programs that have non-profit funding. But he did not address The Bee's main point, which was that heavy reliance on non-profits could lead to untoward influence of those organizations on CIRM. Klein's response was the first such to a Bee editorial. The article in question was moderate compared to others The Bee has published. Klein's comments also have the earmarks of the work by the Edelman PR firm, which is being paid $27,500 a month to peddle the agency's position. Edelman has been criticized by members of the Oversight Committee for not demonstrating much "product." The Klein letter to The Bee is another demonstration that Edelman may be beginning to produce. But the sad fact is that one of the problems of the agency all year is its weak PR and dismal public information efforts. Perhaps that is beginning to change, but CIRM has a long way to go. The agency could start with long needed improvement in the agendas for its meetings, which should have full backup material online. We have pointed out repeatedly that even lowly school districts do a better job in distributing information to the public in advance of meetings. Members of the Oversight Committee have complained as well that they do not get material for the meetings in sufficient time. Who really needs President Bush? That's the question posed by Ronald Bailey, author and science correspondent for the libertarian magazine, Reason. Writing on the Reason web site, he provides an up-to-date overview of stem cell funding in the wake of Bush's restrictions on stem cell research. Bailey notes that the Golden State will be outspending entire countries, including the South Korean effort that has received so much notice. "So far four states have put taxpayer dollars behind human embryonic stem-cell research," Bailey reports. "The 800 pound gorilla in the stem cell funding arena is California. Last November, California voters passed $3 billion initiative that created the new California Institute of Regenerative Medicine that aims to fund stem-cell research at $300 million annually for the next ten years. That is more than 12 times higher than current federal funding. California will not only be outspending the U.S. Federal government; it will be trouncing whole countries on stem-cell research funding. For example, the United Kingdom has plans to spend $175 million per year on stem-cell research. In 2002, the Australian government awarded the Australia Stem Cell Centre with $43.55 million over four years. And the research of South Korean scientists who have recently been making breakthroughs in cloning human embryonic stem cells has been supported by about $11 million in government grants." Bailey runs down the list of states considering or funding stem cell research, moving on to private efforts. "For example, the Starr Foundation is providing $50 million over three years for human embryonic stem-cell research at three New York City medical institutions, including the Sloan-Kettering Memorial Cancer Center. The Harvard University Stem Cell Institute is seeking $100 million in private funding. The University of California, Los Angeles announced the establishment of its Institute for Stem Cell Biology and Medicine with $20 million in funding over the next 5 years. Stanford University announced the creation of $120 million Institute for Cancer/Stem Cell Biology and Medicine in 2002. Former Intel CEO Andy Grove gave the University of California in San Francisco a matching grant of $5 million to start its Developmental and Stem Cell Biology Program. In 2001, an anonymous donor gave Johns Hopkins University in Baltimore a $58.5 million gift to launch an Institute for Cell Engineering. The University of Minnesota has set up a Stem Cell Institute with a $15 million capital grant. In 2004, an a grateful patient pledged $25 million over the next ten years to finance stem-cell research at the University of Texas Health Science Center in Houston." "Given all of these sources of funding for stem-cell research, it's a real question whether or not researchers need the Feds at this point. And one more deliciously ironic thought: It's just possible that, by imposing his funding restrictions and spurring so many independent initiatives, President Bush has actually caused the creation of more embryonic stem cell lines than would have been produced with federal funding." Bailey is more cautious than I would be in describing the impact of Bush's move. He elevated awareness of the issue with his ideological decision and galvanized the stem cell community. Without Bush's help, California stem cell chairman Robert Klein would not be sitting today in his red brick offices in Emeryville, CA. News coverage was sparse of this week's important recommendations about who gets the profit from California's publicly funded stem cell research. Six billion dollars are immediately at stake. That is the cost of the seed money that California is going to provide for the research. We could be wrong, but it appears that only three newspapers in California carried stories on the subject, which obviously is not a hot topic around water coolers. The trouble is those two deadly words – intellectual property. Deadly at least to editors and reporters. The folks who stand to profit are watching very closely. But lack of news coverage also signals waning interest in the mainstream media about the doings of the California stem cell agency, which is no longer as novel as it was eight months ago. Newsrooms are in the throes of summer vacations, as well, which means that staffing issues can affect coverage decisions. Offering stories in Wednesday's papers were reporters Steve Johnson of the San Jose Mercury News and Bernadette Tansey of the San Francisco Chronicle, both of which have important readerships involving biotech and venture capitalists. Reporter Terri Somers of the San Diego Union Tribune wrote a piece this morning. Her readers also include a substantial stem cell community. Somers wrote that the IP plan California adopts for stem cell research is likely to serve as a model for other states rushing into the field. She said, "In promoting Prop. 71, supporters pointed to a financial analysis they commissioned that said California could recoup $537 million to $1.1 billion if it were to get a cut of the licenses and royalties that companies would pay to use any Prop. 71-funded discovery in research or drug production. "But this assumed either that private investors or companies would agree to pay additional money on top of what they traditionally pay researchinstitutes to license technologies or that the research institutes wouldbe willing to take less. "The council's report said that is unrealistic." In the San Jose paper, Johnson quoted H. Ralph Snodgrass, chief executive of VistaGen, who said, "What if the agency says we're going to tax 3 percent of the revenues -- or 12 percent -- of any product developed with this? It could have a stifling effect on the commercialization of the technology." Who Benefits from Stem Cell IP? One of the critics of the California stem cell agency says the just-released recommendations on intellectual property do not protect the interests of the people of California. “Californians did not vote for Prop. 71 in order to favor corporate interests at the expense of the state and its taxpayers. Voters were promised during the Prop. 71 campaign that the state would get a share of any profits, and that any successfully developed treatments would benefit all Californians. This report by a stacked committee doesn’t seem to take those promises seriously,” said Marcy Darnovsky, associate executive director of the Center for Genetics and Society in Oakland, CA. IP issues are not the hottest topic around most dinner tables, but the center identified why they are fundamentally important, especially at this stage. "They will determine who benefits from our tax dollars. Will pharmaceutical corporations receive big profits, as Californians pay twice – once for the research, and again for the profit margin? Or will the taxpayers and voters have reasonable access to the products that they subsidized?” Darnovsky said. The committee of the California Council on Science and Technology that prepared the IP recommendations "lacks representation of the public interest or even the state. The leadership of the CIRM shouldn’t accept this report’s recommendations. At a minimum, it must listen to more diverse voices.” said Jesse Reynolds, director of the project on biotechnology accountability at the center. We received the following note on the IP report from Terry Feuerborn, formerly Executive Director of Research Administration and Technology Transfer within the Office of the President at the University of California. He currently serves as the Technology Transfer Ombudsman for the Lawrence Livermore National Laboratory and the Lawrence Berkeley National Laboratory. "From the beginning, there was reason for concern about the intellectual property management aspects of the stem cell initiative. The wording in the initiative was confusing and hinted at an approach that would have been counterproductive. "Intellectual property issues are complex and often seem counterintuitive at first glance. Adoption of the federal rules embodied in the Bayh-Dole Act by CIRM would be a welcome development. Those rules were hammered out over a long period of time by representatives of both higher education and the government. In large measure, the rules were a response to the 'competitiveness' issue that was current at the time. "The results of the Bayh-Dole Act have been truly impressive. The act played an important role, for instance, in the rise of the biotechnology industry. In addition, the Bayh-Dole Act has been very effective in bringing new technologies to the marketplace. The adoption of similar rules by the CIRM would ensure that intellectual property resulting from stem cell research would be managed in a way that has proved to be in the public interest." Feuerborn also recommends further reading on the subject of the Bayh-Dole act, a brochure by Council on Governmental Relations. A prestigious California advisory group today looked askance at proposals for royalty revenue sharing involving the California stem cell agency and was less than excited about "favorable pricing" for any therapies that might be developed. Sharing revenues could be a disincentive to recipients of grants, both from the private and non-profit sector. Federal experience "strongly suggests" that efforts to control pricing "would actually hinder the availability of medical advances, rather than make them more widely available," the panel said. The interim report by the Intellectual Property Study Group of the California Council on Science and Technology immediately came under criticism from the state's most influential legislator on stem cell issues, Sen. Deborah Ortiz, D-Sacramento. She said the conclusions were "premature" and the group too narrowly based with a membership consisting of biotech and university representatives. The council is a nonprofit organization created by state legislation to recommend solutions on science-related issues. CIRM had no immediate comment on the study. The CCST report repeatedly warned that expectations of quick profits and quick cures were "unrealistic" and verging on "hyberbole." Ten- and 20-year time frames are much more likely, it said. must be used to support research and education activities." "Permit grantees to own IP rights from CIRM-funded research." "Require that grantees (institutions, individuals, or both) provide a plan describing how IP will be managed for the advancement of science and California public benefit." "Grant basic research funds without requiring that grantees commit to providing revenue stream to the state. If, however, a revenue stream develops over time, revenues will be reinvested in research and education." "Generally, make CIRM-developed research tools widely available to other researchers." "Retain within CIRM Bayh-Dole-like rights to step in if the owner of IP is not undertaking appropriate steps to transfer technology to benefit the public." "Reserve the right to use IP by or on behalf of CIRM." Lower Your Expectations -- "We conclude that some Californians have unrealistically optimistic expectations about the likely financial returns to the state from its investment in stem cell research, especially in the short run. Some statements about these returns verge on hyperbole." Think Long Term -- "In the near term, benefits will accrue to the state from its investment in the Stem Cell Initiative through retention and recruitment of high-quality research personnel to the state and through enhanced business activity in support of California research institutions and programs. In the longer term, the state will realize the majority of its economic return on investment from the creation of new high-tech jobs and businesses, stimulation of the economy, and the tax revenues derived from commercialization of the research results into new products and therapeutic treatments for a wide variety of debilitating illnesses. Although these impacts are not likely to accrue quickly in the near term, they have the potential to be substantial." Assist Venture Capitalists -- "Encourage private investors to invest in further research and development of new technologies resulting from CIRM-funded research. Venture capital investment plays a critical role in the development of IP after initial research and before late-stage R&D which is more generally funded by private industry." Widely Available Databases -- "CIRM should encourage grantees to make CIRM-funded databases as widely available as possible. However, if a proprietary database is necessary to move a grantee’s stem cell research forward faster, proprietary databases may be developed for and used in that research. The success of CIRM will depend greatly upon researchers’ ability to access data and information, often for multiple purposes. Scientific and research progress in stem cell research, like other research, will depend on researchers’ ability to access and use information in the public domain and to combine public and proprietary data into new databases, as well as to re-evaluate and reuse existing data." The Disincentive of Royalty Revenue Sharing -- "Royalty revenue sharing may have negative impacts on both non-profit and for-profit grantees. Revenue sharing imposed by CIRM on its non-profit grantees may act as a disincentive to invest the effort and cost necessary to secure patent protection, find an appropriate licensee, and ultimately transfer a promising technology to the commercial sector for the development of treatments and drugs that prove beneficial to the general public. In addition, for non-profit grantees, a royalty sharing requirement could, depending on how it is administered, prevent them from maximizing the impact of CIRM funding by using it to leverage federal funds, since federal funding rules require them to use net royalties for education and research purposes. Royalty revenue sharing imposed on for-profit grantees could discourage their participation in CIRM funding altogether." Favorable Pricing -- "The linkage of such an important healthcare financing policy with IP policy, and the subsequent management of IP, may have unfortunate and unintended consequences. Experience at the federal level strongly suggests that it would actually hinder the availability of medical advances, rather than make them more widely available....The example of the NIH experience suggests that an explicit requirement for reasonable pricing will probably drive away industry, which will be the critical partner in bringing treatments from concept to reality, and will effectively erect an insurmountable barrier to the commercialization of the products of CIRM-funded research....We recommend that a more detailed examination begin in the near future that engages the full range of non-IP technical expertise required to lay out the key issues involved in reasonable or favorable pricing." Political Necessity – The report recommended a requiring grant recipients to prepare a "plan describing how IP will be managed for the advancement of science and California public benefit. Although such a plan is not customary for research grants, the public interest in this initiative and the calls for accountability suggest that developing a plan is a political necessity." Here is the text of Sen. Ortiz' press release, which is not currently available on the Web, on the CCST report. “This interim report is but a first step in an ongoing process to determine the best way to ensure California shares in the therapies and medicines we hope to develop through Proposition 71, which provides more than $3 billion in publicly-funded stem cell research grants. “As the council notes, there is an expectation that intellectual property policies need to direct a revenue stream to the state. The council also acknowledges that federal tax laws prevent Proposition 71, as written, from delivering on its promise to provide royalties or revenue streams back to the state while using tax-exempt bonds. “Senate Constitutional Amendment 13, however, would establish a method for providing benefits to the state without jeopardizing the use of tax-exempt bonds. SCA 13 would require that the state’s public health programs have access at affordable, below-market costs to the products, medicines and therapies that eventually will be developed under Proposition 71. California should not have to pay twice for medical therapies that can assist our citizens who suffer from debilitating and life-threatening chronic conditions. “I urge the council to expand its study group as requested under ACR 24 to add representatives of consumer and public interest groups, foundations, and bond and legislative counsel to its current panel so the council can provide a broad perspective into how our state can benefit from the public’s investment. “I also urge the council to conduct an objective, comprehensive study of other models that promote affordability and access to new therapies and medicines derived from research. The International Aids Vaccine Initiative requires all of its grantees to make their resulting therapies and products accessible and affordable to low-income populations; the Melinda and Bill Gates Foundation and the Foundation for the National Institutes of Health require “global access” to the therapies and medicines that result from their research grants. Later this afternoon we will have a longer look but here is the first cut on the just-released report on intellectual property and the California stem cell agency. The California Council on Science and Technology said that CIRM should "develop a set of policies consistent with the federal Bayh-Dole Act to manage patents and other intellectual property (IP) resulting from California's burgeoning stem cell research program." It also warned that the state and patients should lower their expectations either for quick bucks or quick cures. Therapies from stem cell research could be 10 or 20 years out. "The study group urged CIRM and the state to proceed with caution and not set overly prescriptive policies for IP," the CCST press release said. "The report emphasized balancing the state's interest in receiving benefits from its investment in research with the need to bring actual therapies to market through workable IP agreements. The study group encouraged timely publication of research results to maximize public benefit from the project. Making research tools developed with CIRM funding largely available to other scientists is critical, the study concluded. "'Progress in stem cell research, like other research, will depend on researchers' ability to access and use information in the public domain and to combine public and proprietary data into new databases as well as to re-evaluate and reuse existing data,'" the CCST press release said. Young Klein: "I'm going to stay away from government work." Some describe California stem cell chairman Robert Klein as a "czar." Then there are others who say he is "a tireless worker who believes nothing is impossible, but add that his financial packages tend to be complicated and optimistic." While the latter description dates back to the 1980s in a Fresno Bee article, it could well describe him today. So could the description "czar," at least by some perspectives. Fortune magazine recently characterized Klein as a top-notch salesman as well as "manic" and "relentless." Klein is the driving force behind the stem cell agency, but we have yet to see a first-rate profile of the man that includes warts as well as the usual complimentary material from his friends and supporters. Such profiles are difficult and time consuming and don't often appear in the mainstream media. For example, they would have to include a look at his business arrangements over the last 20 or so years and any lawsuits involving them. But who Klein is and his track record are fundamental to understanding CIRM. Some of his history can be found in this article from the 1980s in the Fresno Bee, published in the city where Klein's father was city manager. One quote from it: "Bob has relationships with everybody. I mean, he's on every side of every transaction. Every time I've bumped into him he's got a number of levels of involvement.-- Preston R. Miller, partner, Goldman Sachs & Co., underwriter for Fresno County bond." 'In the future,' he said, 'I'm going to stay away from government work.'" The piece is murky and convoluted but is worth slogging through if you want one reporter's perspective on Klein's business dealings. In this ancient affair, he seemed to be pushing the envelope on conflicts of interest, based on the Fresno Bee's reporting. Money and the control of it is the topic for an upcoming meeting of the Governance Subcommittee of the California stem cell agency on Aug. 31. The budget for 2005-06 is on agenda for the meeting as well as the contracts that the agency has been letting. Presumably the budget is for the fiscal year that most state agencies use, which began last July 1. Also up for consideration is a cryptic item called "naming programs." We have a query in to CIRM on what those are. (If any of you readers know or want to guess, please send a note to djensen@californiastemcellreport.com). Then there is consideration of bylaws for the Oversight Committee. There is no backup material posted with the agenda, but it is still early. Given past practices, however, we may not see much until about 24 hours before the meeting, if then. In case our readers can't make it to one of the two California stem cell conferences already scheduled for September and October, there still is another chance. This one-day session is called "Stem Cell 101-- Everything You Wanted to Know About Stem Cells But Were Afraid to Ask" and is sponsored by the UC Davis Health System. "Consistent with UC Davis policy, faculty are expected to disclose any significant financial interests or other relationships with manufacturers of commercial products and/or providers of commercial services discussed in their presentations. The intent of this disclosure is not to prevent speakers with significant financial or other relationships from making presentations, but rather to provide listeners with information on which they can make their own judgments. A complete faculty disclosure statement and acknowledgment of commercial support for this program will be included in the syllabus provided at the activity." It would seem that this type of disclosure would be appropriate for adoption by CIRM at all of its sessions, including its October conference. Perhaps the agency has done something along these lines. If so, we have missed it. Registration for the UC Davis conference is $120 for health care professionals and $95 for others before Sept. 16. Slightly higher after that date. The Bee: Nonprofit Control of CIRM? The California stem cell agency is "in denial" about its problems, The Sacramento Bee says, and should stop soliciting funds from non-profit organizations. The Bee editorial Aug. 13 took on a grabbag of issues still festering at CIRM. It was probably most critical of the agency's plan to sell $200 million in bond anticipation notes to charities to fund the organization. The Bee said such a move could lead to nonprofit groups effectively controlling CIRM. The editorial also said that it was unlikely that the charities would passively eat any losses on the notes. "They will exert enormous pressure on state lawmakers to reimburse them for some or all of the $200 million, adding to the state's budget problems," The Bee said. Stanford University is seeking $3.6 million from the California stem cell agency for a training grant to support 16 scientists doing research in adult or embryonic stem cells. Oddly this is information that CIRM, a publicly financed agency, wants to keep secret. And it is more information about Stanford's proposed program than the University of California, another public agency, is willing to disclose about its similar grant applications. According to an article by Amy Adams in the "Stanford Report," a university publication, "The grant would provide roughly $1.2 million per year for three years to support the career development of six graduate students, five postdoctoral fellows and five research fellows. These CIRM scholars will be culled from departments across campus including those in the medical school, engineering, the humanities and other areas." "This is truly a cross-disciplinary effort," said Margaret Fuller, the Reed-Hodgson Professor in Human Biology and Professor of Genetics, who helped write and submit the training grant. "The trainees at Stanford would participate in all coursework and activities required by their departments as well as take required courses in stem cell biology, disease mechanisms and ethics. They would also attend a weekly seminar series," Adams wrote. "The submitted grant is also a first for Stanford's recently formed Program in Regenerative Medicine, which pulls together faculty interested in regenerative medicine research from across the Stanford campus. One goal for the program is to help coordinate Stanford's efforts to receive CIRM grants. "The program is under the direction of the medical school's Institute for Stem Cell Biology and Regenerative Medicine." Readers can draw their own conclusions about whether the information disclosed by Stanford is so sensitive that it should be secret, as argued by CIRM and the University of California. It may be a bit speculative but the Edelman PR firm could be beginning to earn the $28,000 a month it receives from the California stem cell agency. This month we have seen two articles that generally reflect well on CIRM in prestigious magazines with influential readerships. We wrote earlier ("Political Conflagrations" Aug. 9) about the piece in Fortune, which had something for both foes and supporters of CIRM. But overall, considering the nature of the readership of the magazine, it could be chalked up as a plus for CIRM, which Fortune indicated was fighting for its life. The second piece appeared in New Scientist, a British magazine that bills itself as the world's leading science weekly. The publication has close to 150,000 circulation, and 16 percent of its readers either have or are studying for a Ph.d.
"Our campaign, which included the largest coalition of patient advocacy and medical groups in US history, called on Californians to do what the federal government refused: give scientists sustained funding to study embryonic stem cells and how they might reduce the suffering and cost of chronic disease and injury. "In November 2004, Californians answered that call unequivocally. Prop 71 was passed by an overwhelming majority, creating the California Institute for Regenerative Medicine and earmarking $3 billion for research that could benefit an estimated 128 million people in the US alone. Yet despite this major victory, we knew our work had just begun." He went on to point out, in a mild-mannered way, accomplishments and challenges facing the agency. The article, however, contains nothing surprising for readers of this web site. The New Scientist piece has the earmarks of some good PR work, both in securing the placement and in the tone of the language. While we may not be able to credit Edelman with originating both the Fortune and New Scientist pieces, the firm probably ghost-wrote Klein's piece and handled the care and feeding of the folks at Fortune. Access to the Fortune and New Scientist sites is restricted to subscribers, but if you are interested in receiving a copy of the pieces, send a request to djensen@californiastemcellreport.com. Why should California's stem cell agency be more, rather than less open with disclosure and transparency? If you read the Wall Street Journal on Tuesday, you know why. A front page piece by reporter Bernard Wysocki described a case at Cornell University that "exposes what some scientists call a dirty little secret of university medical research: the misuse of taxpayers' funds. "The NIH last year funneled $20 billion to campus researchers, an amount that has doubled since the late 1990s," Wysocki wrote. "Now, a string of multimillion-dollar settlements by leading universities is showing how vulnerable the system has become to abuse. "Since the beginning of 2003, Northwestern University, Harvard University, Johns Hopkins University and the University of Alabama at Birmingham have agreed to civil settlements. In each case, the government alleged that the universities pledged to do one thing with their NIH money and then spent it on something else. This spring, the Mayo Clinic, Rochester, Minn., agreed to pay $6.5 million to settle charges it diverted money from one grant to other grants running short of funds. The institutions agreed to upgrade their accounting practices, but admitted no wrongdoing." "In a recent survey of 3,300 research scientists, researchers at Minnesota-based HealthPartners Research Foundation and the University of Minnesota found that more than 50% of established grant-getting scientists used grant money designated for one project on another project -- often for undisclosed research that might lead to future grants," Wysocki wrote. Public disclosure and openness do not guarantee that there will be no abuses. But without public transparency, temptations arise. Even the well-intentioned can fall into arrangements that cannot stand the light of day. The collateral damage can be weathered by institutions such as Harvard and the Mayo Clinic. But they can be life-threatening to a young agency, such as CIRM, that is engaged in controversial research. When one California public agency asks another California public agency for money, one would think that it would be something that taxpayers should be able to know. But the California stem cell agency says the information is secret. And the University of California is only a bit more enlightened. The case in point involves a $45 million effort by CIRM to create a cadre of stem cell researchers. Twenty seven universities and non-profit academic and research institutions have indicated an interest in the grants. But even the names of the applicants have been kept secret by the stem cell agency. We can now tell you, however, that all 10 UC campuses have applied for grants. But very little more has been disclosed by our public servants. In response to a request from the California Stem Cell Report, UC officials said that the Berkeley, Davis, Irvine, Los Angeles, San Diego and San Francisco campuses have applied for "type one" grants. The Merced, Riverside, Santa Cruz and Santa Barbara campuses have applied for "type three" grants for specialized training programs. Type one grants, according to CIRM, cover proposals for comprehensive training programs at the pre-doctoral, post-doctoral and clinical levels. They could support up to 16 CIRM Scholars and operate on a total budget of up to $1.25 million per year. Type three grants offer training at "one or two levels of education." Each grant can support up to 6 trainees, with a budget of no more than $500,000 per year. We can also tell you, thanks to reporter Carl Hall of the San Francisco Chronicle, that UC San Francisco is seeking $3.6 million from the grant program. The school is already recruiting applicants for its program. Hall reported that his information came from Arnold Kriegstein, who is head of a stem cell program at UC San Francisco. CIRM's claim to secrecy is based on language in Prop. 71 that says CIRM "working group" records are not public. A working group is scheduled to make recommendations later this month to the Oversight Committee on which applicants should receive grants. Following approval, only the successful applications would become public. UC was willing to disclose the basic information reported above, but refused to disclose anything further. Maria Shanle, university counsel with the University of California, said "the university's position is that the CIRM applications contain detailed information that would weaken the competitive position of the grant applicant(s) in applying for additional or different grants, if the application were disclosed to the public. "The concern is that if a grant application is not funded, disclosure of the details of the proposal could give away the applicant's ideas and plans to potential competitors for future grant opportunities. It is this future competitive disadvantage that constitutes the public interest in not disclosing the records. This rationale is parallel to a similar rationale that is commonly used to protect unfunded research proposals from public disclosure...."
We understand the university's reasoning as it applies to research grants. But the issue here is proposed educational programs, which are often discussed publicly and in detail through faculty hearings, the UC board of regents, the state Commission on Postsecondary Education or the Legislature. The grants do not seek to probe the mysteries of stem cells with goal of developing specific products; they are training efforts. It is difficult to see where there is a give-away of something so valuable that it would damage any individual's likelihood of securing another grant to train stem cell researchers. 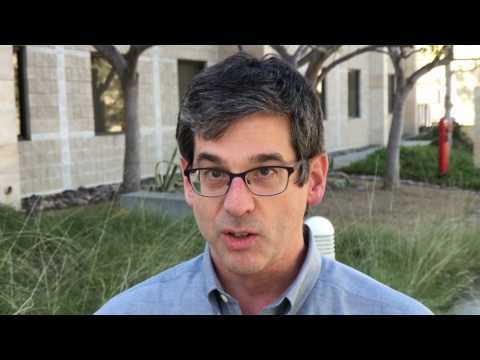 How does a stem cell investigator find grant dollars? Why does one venture capitalist decide to invest in a stem cell company and another does not? How does an executive of an emerging stem cell company navigate the commercialization issues? These questions and more will be addressed Sept. 19 during a panel discussion at UC San Francisco sponsored by Baybio, Northern California's biotech industry association. The session is also scheduled to be broadcast on the Web courtesy of the Foley and Lardner law firm, which has ties to the California stem cell agency. In a column about the conference, "The Business and Financing of Stem Cell Research in California," Baybio wrote, "To anyone who is following the progression of Prop. 71, it is confounding to figure out what the grant program will ultimately be for the CIRM. With lawsuits surrounding the CIRM, it may be another six months to a year before grant money is in the hands of entrepreneurs. ....We are intrigued by the signaling effect of Prop. 71, but we are mostly concerned with the tangible: what is important to entrepreneurs in regenerative medicine today." In addition to sponsoring the Webcast, Foley and Lardner are sending attorney Stacy Taylor to discuss what intellectual property "is necessary to commercialize products and to discuss royalty stacking issues which may come into play from the broad patents which have been filed at the University of Wisconsin and in South Korea." On July 30 we reported very briefly on the new additions to the staff of the California stem cell agency and promised to bring you more information when it became available. Here it is, at least for Geoffrey Lomax, who started Aug. 4 as senior officer for the Standards Working Group. CIRM has this to say about Dr. Lomax. He is the former research director for the California Environmental Health Investigations Branch and has conducted environmental and occupational health research since 1985. According to CIRM, Lomax supported the professional and research needs of the legislatively mandated Expert Working Group that developed a strategic plan for the Environmental Health Surveillance System in California. His Ph.d. dissertation involved scientific, ethical, legal and policy issues related to workplace biomonitoring and genetic testing, according to the Branch's website. Lomax received his BS in Environmental Toxicology from the University of California at Davis and his doctorate within the Division of Environmental Health Sciences in the School of Public Health at the University of California at Berkeley. Dog Days for US Stem Cell Science? Once upon a time California was expected to be the hottest ticket in the world of stem cells. But The Wall Street Journal today named Seoul as "Cloning and Stem Cell Central" for the world. All because of some mutt. Actually, we must acknowledge it is a little more complex than that. WSJ science columnist Sharon Begley explained it all in her column this morning that gave Seoul the title. Her piece asked and attempted to answer two key questions: "Is the U.S. losing its decades-long pre-eminence in science? And if so, does it matter?" "One sign of how besieged he and others feel: Lab space financed with private or state money for studies that can't be legally done with federal money is called a 'safe haven.'" Spencer Stuart, the executive search firm, is still hot on the trail of a permanent president for the California stem cell agency. And they are working for free since their contract expired May 31 without the selection of a president. The agency had hoped to have a permanent president by June. We have written several times about the still ongoing search for a new nabob, wondering about the status of Spencer Stuart (see "Looking for a New CEO" July 20 among others). Coming up this October is a California stem cell agency event that is certain to attract national and international attention. If you want to attend, you should apply very soon to CIRM. The conference Oct. 1 and 2 is dubbed "Stem Cell Research: Charting New Directions for California." The purpose of the meeting is to help identify scientific priorities for the first phase of stem cell research by the agency. Attendance is limited but the agency promises to "simulcast" the session to multiple sites throughout the state in an effort to reach a wider audience. The actual event will be held at the Renaissance Parc 55 Hotel in San Francisco. The two-hundred attendees will be selected from persons who apply to the agency by Aug. 23. CIRM said those chosen will include scientists, representatives from private industry, patient advocates and the public. You can find the application here. Scientists from the US, Australia, Canada, Israel, Sweden and the United Kingdom will make presentations with panel discussions following. "One session will focus on private industry perspectives on clinical applications of stem cells as cellular therapeutics," according to a CIRM press release. Your average reader of Fortune magazine has a household income of $347,500 and a net worth of $2.2 million. Nearly two-thirds of the readers are top management, and one out of three is on a corporate board. An influential and important group, to say the least. All one million-plus of them were presented with the following in the Aug. 22 issue of the self-styled "world's premier business magazine:"
"THE STEM-CELL WAR -- Fighting for Their Lives --The folks who brought you Silicon Valley want to ignite a biotech boom, and California's Prop. 71, with $3 billion for stem-cell research, was supposed to be the match. They got a political conflagration instead." Those are the headlines leading into the story by writer Betsy Morris -- a lengthy piece focusing heavily on California but weaving in national and international events as well. It is chockablock with tidbits. On California stem cell chairman Robert Klein: "Relentless, manic and one of the best salesmen you'll ever meet." On the selection of the California stem cell HQ: "In the 11th hour of an Olympic-like bidding contest, San Francisco snatched the plum from a dazed San Diego, compensating for an undistinguished second-story office on King Street with $18 million in free rent, conference rooms, and the like." On the nature of the stem cell industry: Roughly 185 stem-cell companies exist in the world but "venture capital in the field is a mere $470 million." On the future: Dana Cody, executive director of the Life Legal Defense Foundation, is quoted as saying, "I'd still like to see voters get educated (during the delays caused by litigation) and see some sort of grassroots effort to overturn the initiative." The Fortune piece is definitely high-impact. But which way it falls – to the benefit of the stem cell agency or to its detriment – is difficult to say. There is enough fodder in it to fuel almost any point of view. But the article makes it clear that the agency has not had an easy course. "When the stem-cell initiative passed on Election Day last November, the future looked bright. But by May the effort had slammed into a wall of opposition from the religious right and anti-tax groups, which stalled it with lawsuits." "Suddenly California became a mecca for biologists the world over. California universities—the same ones that gave birth to Hewlett-Packard, Sun, Google—started jockeying for position. Their best Ph.D.s began dreaming about the possibilities. The same characters who gave us Silicon Valley—the Sand Hill Road venture capital crowd—began mobilizing to deliver the next tech revolution. 'Biology is the next wave of science to make a big difference, and early-development stem cells are the mother lode,' says Richard Mahoney, retired CEO of Monsanto, a leader in agricultural biotech. 'Nobody wants to be left behind.'" "What has happened in California shows how unpredictably complex and thorny this issue can be. Despite all the momentum, Prop. 71 has stalled and landed in the courts. Lawsuits have blocked the issuance of bonds that would fund the stem-cell research. Now the initiative's backers must scramble to arrange alternative financing and fight the legal battles as they try to judge grant applications. For the moment an odd but potent little army of pro-lifers and anti-tax groups, represented by the Life Legal Defense Foundation—the same organization that provided legal assistance to Terri Schiavo's parents—has thwarted all the Hollywood stars, the deep-pocketed venture capitalists, the Nobel Prize winners (40 of them), and patient-advocacy groups (70 of them) that endorsed the research. " "The International Society for Stem Cell Research annual conference, held at the San Francisco Marriott last month, should have been a triumphant affair. Instead, a siege mentality had set in. 'We are a blue city in a blue state," Mayor Newsom assured the crowd of scientists. The underlying message: You will not be considered pariahs here. In an urgent speech, Bob Klein beseeched them not to give up. 'This is a very small window of opportunity. We must act quickly, or the forces against us will change the tide,' he said." Online access to the article is limited to Fortune subscribers. All the finest stem cell researchers in the world are booking flights to California, lured by the $3 billion the state plans to spend on behalf of their efforts, right? That's the conventional wisdom. But in at least one dramatic case, it is definitely wrong. The story involves 35-year-old Mick Bhatia and the University of California, Davis, a $500,000 salary and an research budget of $2 million. Bhatia is currently director of the stem cell biology group at the Robarts Research Institute at the University of Western Ontario. He soon will be scientific director of Canada's first stem cell research center, which is under construction at McMaster University. What he won't be is director of a stem cell research center at UC Davis, which courted him for nine months with blandishments such as a base yearly salary of more than $500,000 along with the annual research budget of $2 million. The details of the wooing were disclosed by reporter Carolyn Abraham of the The Globe and Mail of Toronto, which circulates nationwide in Canada. "Canadian Stem Cell Star Shuns U.S. Riches" read the headline on the story Tuesday. The UC Davis offer was so generous, the newspaper reported, that Bhatia said, "I kept thinking they mixed up my name with someone else. It was overwhelming." Abraham reported, "Three times he flew down to investigate the university and the town, scoping houses and schools for his two young children. His wife, Christina, cruised images on the Internet, being nine months pregnant with their third child and unable to fly. "He also feared the position in California would force him to be more administrator than scientist. His duties would have included fundraising and providing input on designing the center and how it should operate. "'If we spend a lot of time thinking about how shiny the hallways are and the square footage, we won't get very far figuring out how these cells work,' he said." Abraham said that at McMaster Bhatia will have $10 million (Canadian) to start up research at the institute, plus $4 million for equipment and another $3- to $4-million in funding through Canada Research Chair positions. A few days ago we received a note from a gentleman at the State University of New York, Albany, that seemed to reflect a rose-colored view of the current state of affairs at the California stem cell agency. Or perhaps his message was intended to indicate that we are taking an excessively negative view of the situation. There is no doubt that CIRM is moving forward, albeit in fits and starts. As we have discussed before, creating an operation such as CIRM from scratch is more difficult than most of us understand. But the agency itself has set high and ambitious goals that it has failed to meet. And it is a long ways from being fully operational. Two of the major problems – litigation and money -- were discussed recently in the San Diego Union Tribune and the San Jose Mercury News. Reporter Terri Somers of the San Diego paper wrote about the plan to finance the agency's operations with bond anticipation notes from the state. She noted there were major skeptics, including Harold Johnson of the conservative Pacific Legal Foundation in Sacramento. "I wouldn't be surprised if there aren't many takers for what the treasurer's peddling. These notes may be to state financial instruments what the Edsel was to cars, or New Coke was to soda," Johnson told her. "Finding buyers for the notes may be a big hurdle," Somers wrote. "After circulating the bond anticipation notes to institutional investors, the state determined this month that there were no interested buyers. The treasurer's office is now circulating the term sheet to philanthropic investors, such as foundations that support medical research." The stem cell agency's attorney, James Harrison, said there never was "any expectation that institutional investors would be interested in buying the notes because they are relatively risky and unusual." That, of course, raises the question of why such an effort was even made. On the litigation front, reporter Steven Johnson of the San Jose Mercury News said that the agency "could be in for a legal fight that cripples its core mission for a year or more." And then comes an item from Stuart Leavenworth, an associate editor of The Sacramento Bee, on Sunday, concerning national stem cell legislation "that would criminalize techniques many scientists - including those here in California - say are essential for developing stem cell therapies. (Republican leader) Frist may ultimately support those restrictions as a way to restore his credibility with religious conservatives. The outcome could be crippling to California's $3 billion Institute of Regenerative Medicine (which already has its own problems)." As our correspondent from New York suggests, CIRM is clearly a work in progress. All the more reason for the public to pay exceedingly close attention to it. A year from now the fledgling bureaucracy will be a different creature. We can only hope that it fulfills its promises of transparency and disclosure as well as its aspirations to lead the way to therapies and cures that could help millions. Something must have happened at last week's meeting of the Oversight Committee of the California stem cell agency, but you could hardly tell it by looking at some of California's leading lights of the newspaper business. Only two newspapers carried stories on the session in San Diego. Missing in action were the San Francisco Chronicle, The Sacramento Bee, the San Jose Mercury News and the Los Angeles Times – notable because they have been among the semi-regulars covering CIRM. The San Diego Union Tribune and the North County Times (San Diego County), however, both carried articles. Reporter Terri Somers of the Union Tribune focused not on action by CIRM but on yet another lawsuit against the agency that appears to be identical to one filed against the NIH. The litigation dealt with on protection of the alleged civil rights of frozen embryos. Somers reported that the NIH lawsuit has already been dismissed. Reporter Bradley Fikes of the North County Times briefly mentioned the lawsuit. He wrote, "Committee member Richard A. Murphy, also president of the Salk Institute, said there is a "growing sense of frustration that the situation will continue and funds won't be released as quickly as we had hoped there would be.'" Fikes' story focused on the committee's opposition to federal Brownback stem cell legislation and support of the Feinstein-Hatch measure. He said the panel "struggled to find a way to communicate the differences between the two." Don't ever say that the California Stem Cell Report has lost its institutional memory. We do recall, in fact, that we engaged in a bit of "totally baseless speculation" on July 30. As we warned our readers, our maunderings might lack merit. And so they did. No action that we know of was taken last week on selection of a permanent president for the agency. The California stem cell agency on Friday is likely to approve a $378,000 annual public relations contract with Edelman, the world's largest independent PR firm. Going rates for help at Edelman range from $450 an hour for Gail Becker, president of the Edelman's western region, to $70 an hour for unidentified interns. Adam Silber, an Edelman vice president who has been listed as a contact on the CIRM website, goes for $240 an hour. Compare that to the $43 hourly rate for Nicole Pagano, who is a state government employee and the lead contact at CIRM since April. She and Silber appeared on the scene about the same time. Of course, Pagano's $90,000 annual salary as senior communications specialist does not include the cost of fringe benefits or a profit, both of which are presumably included in Edelman's rates. Edelman's responsibilities seem fairly routine, but CIRM seems to be still struggling with making its PR work routine, even with Edelman's help during the last four months. A well-run organization performs most of its work in a routine fashion. If there are major hoohas over regular tasks, an organization is going to be hard-pressed to deal with more difficult issues. The scope of Edelman's work includes preparing media kits, maintaining contact lists, prepping CIRM officials on media interviews, writing stem cell research backgrounders, dealing with the web site and so forth. Oddly, Edelman's work does not seem to involve much specifically with radio and TV, which is where most of the public gets its news. In fact, the words "radio" and "television" or "TV" are not even mentioned in the Edelman "scope" document although letters to the editor and editorials are specifically cited. Attention to TV and radio is even more important, given the relative novelty of stem cell issues to the bulk of the public. Some polls show favorable opinion concerning stem cell research, but you can bet most persons would have difficulty describing a stem cell or potential benefits of research. The next few years offer a prime opportunity to shape public opinion when it is most malleable -- when an issue is relatively new and beliefs have not been locked down. The Edelman contract does not include any Web site construction expenses, although it is the project manager for the site redesign, nor does it include major printing costs. Media kits, FAQs, etc., will have to be printed at additional cost in addition to posting on the CIRM web site. Approval of the contract by the Oversight Committee will formalize a relationship with Edelman that began in April following an unannounced selection process for PR firms. Losing out in the process were Weber Shandwick Worldwide and Burston-Marsteller. Earlier Jeff Sheehy, a communications specialist at UC San Francisco who serves on the oversight board, said the size of the Edelman contract was "appalling." He questioned whether the institute was getting anything for its money.